The last day of our Christmas Break, we had lunch at Din Tai Fung in Westfield Valley Fair mall in San Jose, California. At this location, if you want to sit at a table, you have to make a reservation. Bar seating is available for walk-ups, but our server told us that you could wait several hours to be seated, so I definitely recommend making a reservation if you want to dine at Din Tai Fung. 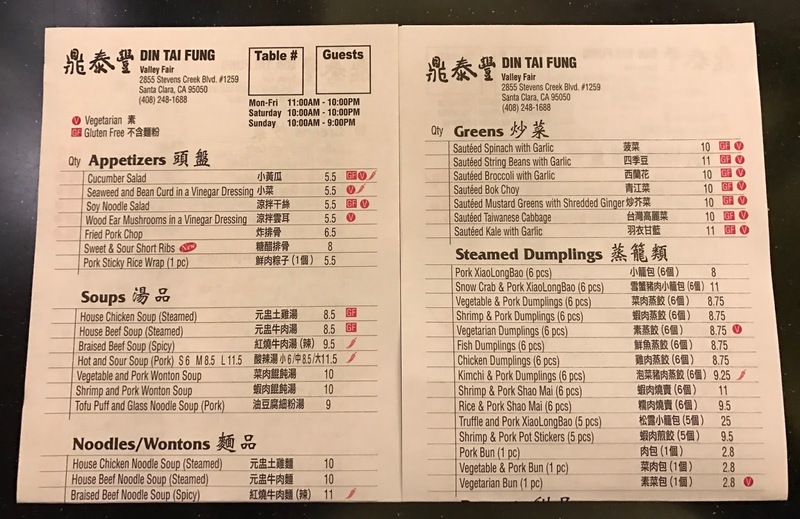 We first dined at a Din Tai Fung in Bellevue, Washington, which you can read about here. In the United States, they also have restaurants in Seattle, Los Angeles, and Orange County, California. 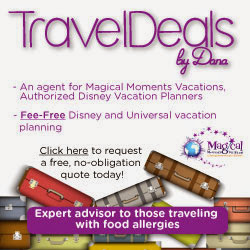 Gluten free options are noted on their menu, which you can view online here. Din Tai Fung has two gluten free appetizers to choose from - cucumber salad and soy noodle salad. I shared an order of the cucumber salad with my family. I loved the thick slices of crunchy cucumber, which had a lot of flavor from the dressing they were served with. 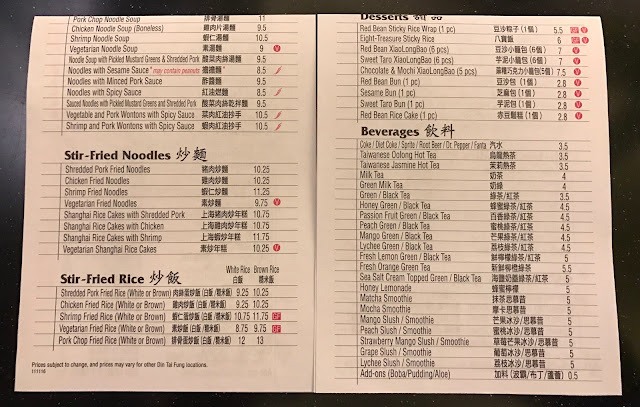 All of the greens at Din Tai Fung are gluten free, so I could choose sauteed spinach with garlic, string beans with garlic, broccoli with garlic, bok choy, mustard greens with shredded ginger, Taiwanese cabbage, or kale with garlic. The last time we dined at Din Tai Fung, we had the spinach with garlic, which we enjoyed, but this time, we chose the string beans with garlic, which were amazing. I will definitely be ordering them on all future visits. The portion was quite large, so I was able to share them with my whole family. For an entree, I chose the shrimp fried rice, which can be made with white or brown rice. The vegetarian fried rice is also gluten free. 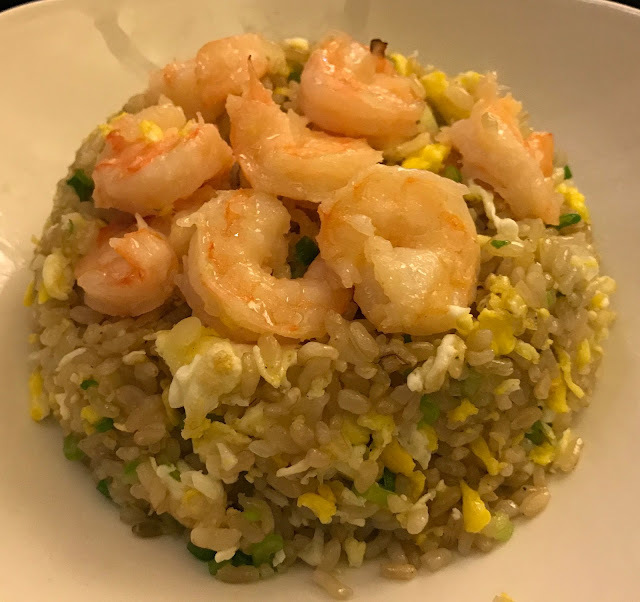 My shrimp fried rice with brown rice was very good, and I enjoyed eating it with small pieces of the string beans we ordered. Din Tai Fung has two gluten free dessert options, and I decided to order them both, and share them with my family. 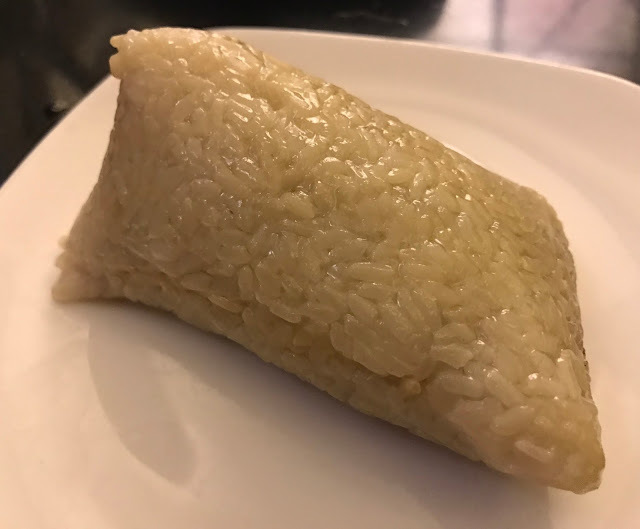 I loved the red bean sticky rice wrap, because I love sweet red bean paste in desserts. 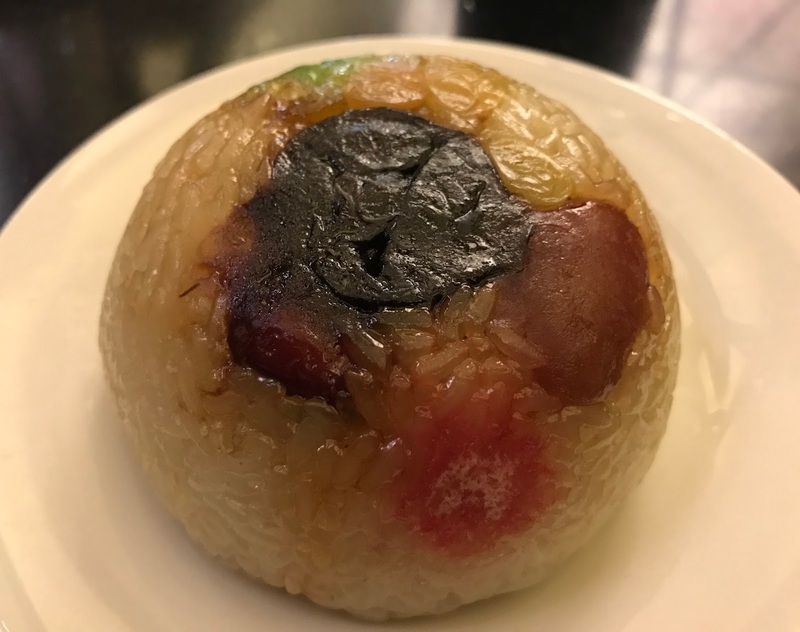 The eight-treasure sticky rice features red bean paste in it too, but has a variety of other interesting things buried in it as well, like pieces of what appeared to be dried fruit, but they were all pretty soft. I enjoyed it, but in the future, I will probably just order the red bean sticky rice wrap. My gluten-eating family shared several gluten-filled dumplings, soup, and a noodle dish. None of the steamed dumplings or stir-fried noodle dishes are gluten free at Din Tai Fung, but they do offer two gluten free soups - house chicken soup and house beef soup. Overall, we all enjoyed our meals at Din Tai Fung, and look forward to dining there again soon. 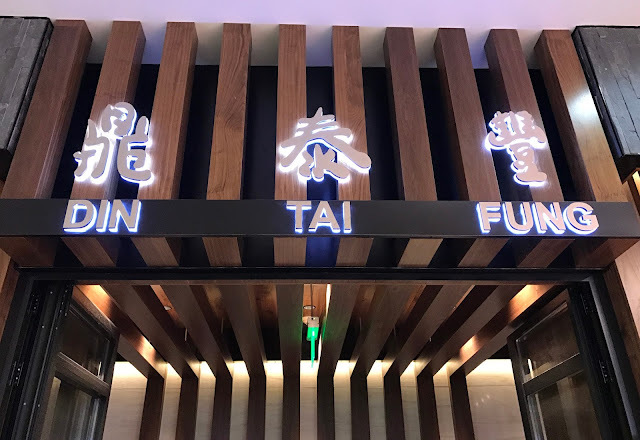 My husband, who has traveled extensively in Asia, and loves Asian food, feels that Din Tai Fung is one of the best Asian restaurants he has eaten at in the United States. 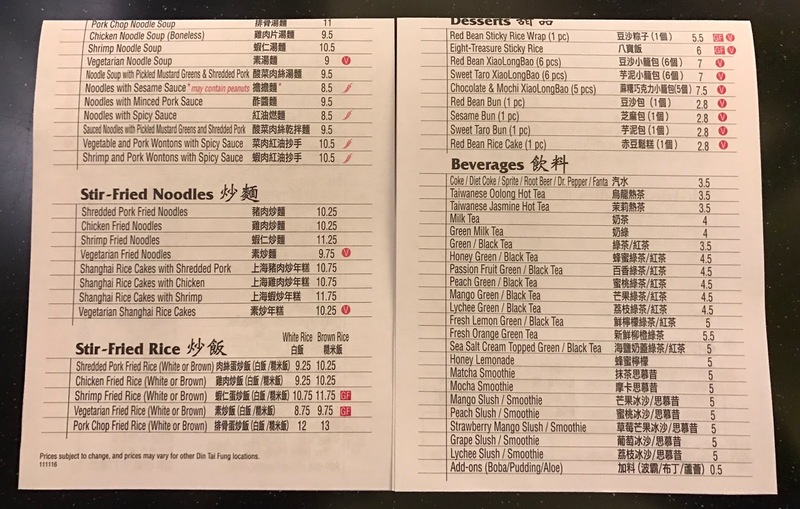 What are your favorite gluten free options at Din Tai Fung?